There is value in cannabidiol (CBD) found in all types of hemp, including Marijuana with its psychoactive constituent THC (tetrahydrocannabinol). CBD is found throughout the seeds, stalk, and flowers of cannabis plants where it occurs in more significant quantities than in other known sources of cannabidiol. It is extracted in the form of cannabis oil. CBD is available without psychotropic effects and no matter what type of cannabis it comes from, marijuana or non-psychoactive hemp, it has often been referred to as "medical marijuana". “Hemp”, unless otherwise stated, will here refer to plain old weedy non-psychactive industrial hemp, the plant long used for rope making, and today used for making fabric and paper, among its many other uses, which also includes use of the seeds for nutritional value. Industrial hemp grows like a weed thus is of high value for its easily renewable sustainability. I am not addressing the subject for the purpose of discussing the hot-button political issue of federal legalization of marijuana. However, I am commenting on the hot-button political issue associated with the value of CBD in holistic integrative healing and questioning why it is being maligned by the mainstream pharmaceutical-centric medical industry. The fact that cannabinoid (CBD) is used by the cannabinoid receptors in the body to keep us healthy, certainly does raise questions about why not only marijuana but also hemp has been so maligned for so long. And it absolutely raises questions about maligning hemp from which CBD can be extracted for the purposes of healing thus avoiding the still unresolved hot button political issue of the THC in marijuana, even though it is removed from the CBD that is extracted from marijuana to be used as "medical marijuana". It is fairly well known that marijuana and hemp are different varieties of the same genus Cannabis sativa. 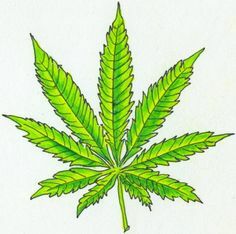 A little more botanical background, not as well know, is that the family Cannabaceae of which Cannabis is part, also includes Hops and Hackberries trees and is of the order Rosales which is comprised of nine families, including the hemp, Russian olive, mulberry, buckthorn, rose, elm and nettle families. In other words Cannabis and Roses are cousins. I want to point out for those who are not aware, that the growing of hemp as a controlled substance has been in effect since colonial days. I discovered this way back when, while doing genealogical research of a gateway ancestor to Virginia who was documented as having had a license to grow hemp. At the time the maritime industry, for one, was hugely reliant on hemp for the making of rope. It was a profitable crop. However, the fact that the growing of hemp was regulated, then, apparently says something about the difficulty of distinguishing between marijuana and hemp while not trusting growers to grow industrial hemp unless it could be regulated. For example, is the cannabis image, up above, marijuana or hemp? We might deduce from this, accurately or not, that Colonial regulation suggests government folks could test the hemp to determine the veracity of a grower’s claim that it was non-psychactive i.e. not marijuana with it’s pesky THC. It is interesting to imagine the nature of testing by representatives of the crown . . .
Let me simply say there is a huge body of research about the value of hemp CBD in healing. To that end the use and availability - affordable availability - of natural, not synthetic CBD - is all about being healthy without having to fight government and health care professionals for the right to be healthy in the most effective least damaging ways. CBD is not the only issue in that battle of course. What we know in 2018 is “Cannabinoid receptors are found in nearly every tissue of the body and brain. These receptors are part of the mammalian endocannabinoid system, which includes the brain and both the central and peripheral nervous systems. The receptors respond to the components found in cannabis, acting separately but holistically with the body’s other receptor systems. Because there are so many of these receptors, cannabis may help with a large number of conditions.” This from a “Cannabis for Cats” article at Animal Wellness website, CBD being advised for pets at times, for the same reason it is advised for people and other mammals, because cannabinoid receptors are part of the mammalian endocannabinoid system. Let me say that one more time: cannabinoid receptors are part of the mammalian endocannabinoid system, an astounding discovery from 30 years ago. It should be common knowledge by now, but it is apparently the type of news not deemed worthy of being offered, repetitively, in the way other topics are, like crime, and sordid reports of scandalous behavior. Even more astounding about the Endo-Cannabinoid System is "there are more receptors for CBD in our body than any other kind of receptor. So the Endo-Cannabinoid System is truly the largest network of its kind throughout our entire physiology." This is a comment by Asher Milgrom, PhD, CEO & Chief Scientist, AMA Regenerative Medicine. in the video, “The Inside Story of Cannabidiol - What are the Benefits of CBD? ", where he addresses the physiological effects of CBD. The process of the importance of homeostasis is explained with reference of course to CBD, since it is the Endo-Cannabinoid System being addressed. Again, that is the largest network of its kind throughout our entire physiology, but apparently not the type of news deemed worthy of being offered, repetitively. As Dad used to say when suggesting the advantages of thinking deeply in a big picture cause and effect way, "put that in your pipe and smoke it!" Though the model of a mobile Asher Milgrom uses in the video is simplistic, it is useful in clearly illustrating the level at which CBD works in the integrative medicine model of holistic healing; contrasted to treating isolated symptoms with pharmaceuticals which leads to problems from isolated treatment, then more isolated treatment of symptoms with more pharmaceuticals . . . ad infinitum to damaging proportions because of numerous noxious pharmaceuticals. There are natural means available that are non-toxic. Even for folks who already know and understand the physiological processes of homeostasis Milgrom describes, the nearly 22 minute video is worth watching for the way he describes the value of CBD in the process of homeostasis. It maintains and establishes balance in the Endo-Cannabinoid System. He contrasts the holistic systemic effects of CBD with the way combinations of pharmaceutical drugs are used to treat individual bodily symptoms and the problems that present from doing so. To be fair, many allopathic physicians are coming around to educating themselves and getting themselves educated about the holistic approach to treatment, thus they are more willing to work with integrative physicians (or become integrative physicians, themselves) so that natural treatment can be used - along with pharmaceutical treatment to make it more effective when pharmaceutical treatment is needed. In the video Asher Milgrom attributes a 1992 discovery of the Endo-Cannabinoid System to Dr. Rafael Mechoulam of Hebrew University. More about the history of the discovery of the Endo-Cannabinoid System can be found at this link: The Endocannabinoid System: A History of Endocannabinoids and Cannabis. There are undoubtedly many other sources about the history of the discovery, the researchers, and their peer-reviewed research. Project CBD is mentioned in the video as a resource. Research seems to have started earlier than 1992 because "In 1988, the first cannabinoid receptor was found in the brain of a rat. Initially found by Allyn Howlett and William Devane these cannabinoid receptors turned out to be plentiful in the brain – more so than any other neurotransmitter receptor." This is when the prevalence of cannabinoid receptors was discovered some 30 years ago. It is stated that Dr. Rafael Mechoulam discovered the body produces some amount of CBDs. However, these are not in the quantities the prevalence of receptors indicates is designed to be acquired only from internal production. So again the question arises of why the use of CBD has become a politicized issue given the fact that the mammalian body has a prevalence of receptors. One might be tempted to imagine that with the prevalence of receptors in the body, qood quality unpolluted CBD is needed by the body to maintain health. Consider the value of CBD to mammalian healing and maintaining of health.